We have complied 8 questions to interview contractors to help you find the right person for the job. When it comes to hiring a contractor to do a project in your home or your investment property it is important to hire the right person. We have complied 8 questions to interview contractors to help you find the right person for the job. Can you share your references? Past clientele is the best frame of reference. Put on your detective hat and do some research. If the contractor is not willing or able to provide some before and after pictures maybe the don’t have enough experience to do the job you need. Also if they can no provide some contact information for past clients, they may be hiding something. When comparing contractors you will want to see the cost breakdown so you can compare the hourly rate and how much they charge for materials. If they are unwilling to do this, this may not be the best work relationship for you. Communication is vital during a large project like this. Sometimes its important to know how long someone has worked in the area. Longevity can build important relationships such as additional contractors, day laborers, and discounted materials. It’s important to make sure that a contractor is licensed, bonded, and insured so that in case anyone is injured on the job site during the project they are covered by the contractors insurance policy. You want to make sure they are licensed to do the work they have been hired to do to follow the city and county requirements. Will you obtain the permits? Working with a contractor who doesn’t want to obtain permits is a red flag! If they are willing to cut corners on the county or city’s requirements, they might be willing to cut corners on your job. Permits provide assurance that the job is being done in a reasonably safe manner and records are being kept with the county. Clear communication is key when working with your contractor. You want to make sure you know when both of you have expectations for certain start and end dates and anything in between. It will be important to know who is doing the work. When they are giving you timetables and expectations, can you really hold them to it, if they are contracting the work out? Will you put everything in writing? It’s vital that you both have a copy of everything in writing. The contract, the time table, the exact job request, the payment schedules, etc. Normally when you hire a contractor you are hiring them to do a job that costs thousands of dollars. It’s important to make sure that you know what your getting into and make sure that you are hiring the right person. 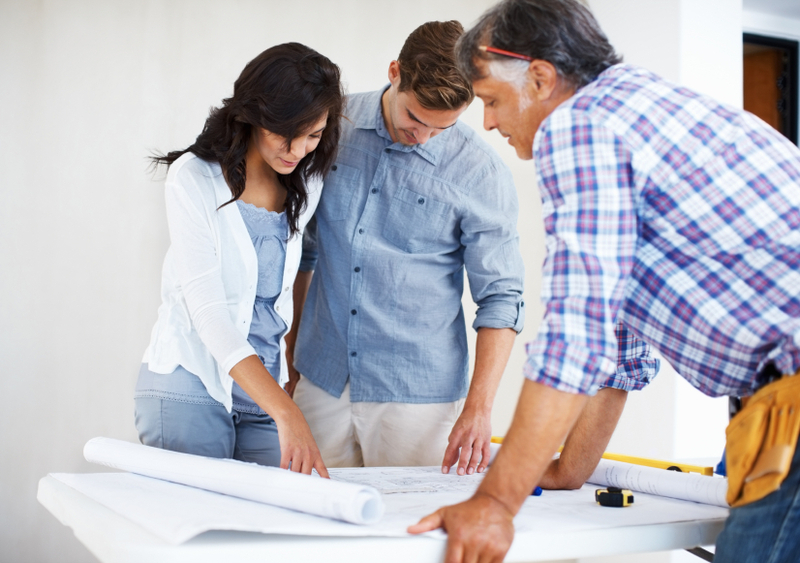 If you ask the right questions from the beginning, you and your contractor will have a clear and direct road map to work with for the project.